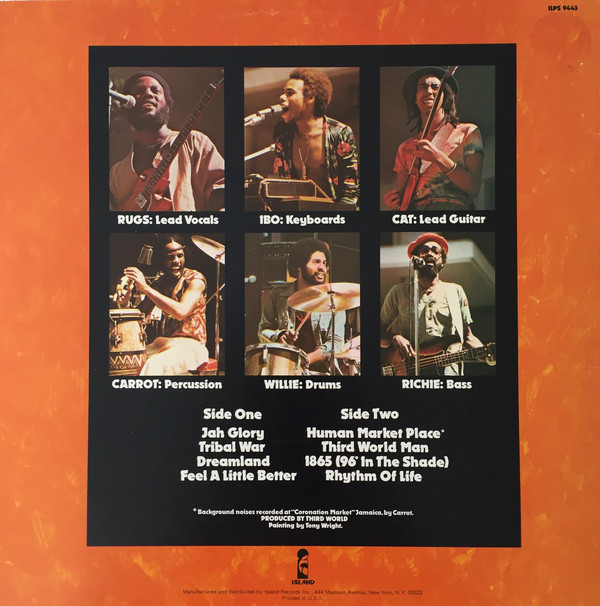 After an impressive, inventive and often inspirational debut album, the intriguing Third World returned in 1977 with this equally notable album. Theirs was a mesmerising mix of roots reggae, soulful vocals, disco stylings on occasions and many “world music” sounds. The opening track, “Jah Glory”, is a perfect example of this - great, airy, tuneful vocals and all sorts of tropical sounds in the backing. Just perfect music for a hot summer’s day. There is, of course, a rasta consciousness to the band’s lyrics but it never overwhelms the music, that washes over you like a cool Caribbean breeze. “Tribal War” is a Rasta-drum rhythm backed intoxicating groover, backed by some seriously “crucial” lead guitar and some deep, urgent lyrics. This is one of the most “roots” tracks on the album, suitable for any “punky reggae party” playlist. The mood changes now for the truly beautiful “Dreamland”, a cover of Bunny Wailer’s track from his “Blackheart Man” album of the previous year. This is a light, airy version that sweeps into your room like opening the window on a sunny day. “Feel A Little Better” has that thumping disco groove that the band used so successfully on their hit single “Now That We’ve Found Love” - harmonious vocals, rhythmic drums and some cutting, razor-sharp guitar interjections. The beat is hypnotic on cuts like this. Third World at their very best. “Human Market Place” is the most melodic condemnation of slavery there is. The song has a tragic, serious message over an insistent, solid, dubby rhythm, with a great vibes solo bit in the middle and some excellent bongos. It also features some sampled “sound effects” market place hubbub noises that add to the atmosphere. Great bass on it too. 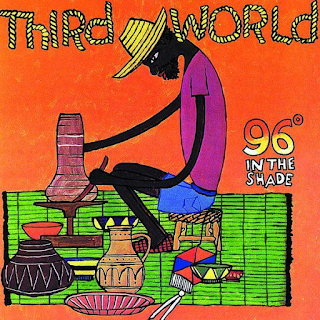 “Third World Man" features some top class vocals and some almost electronic backing in places. Some stunning guitar in the middle passage. 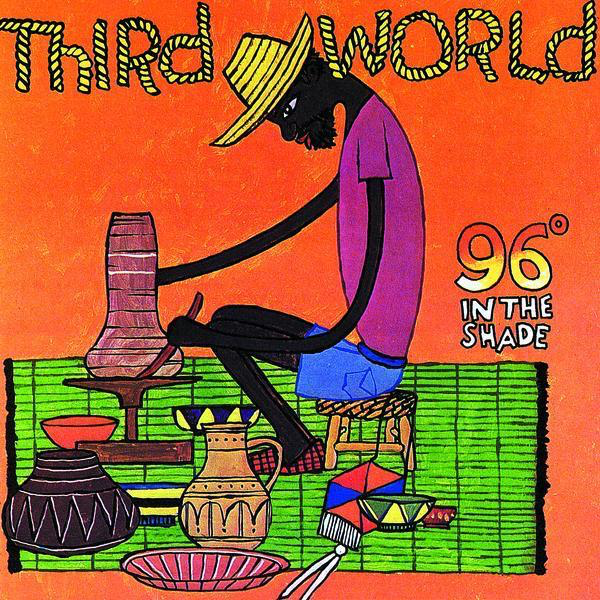 Like Peter Tosh, Third World were afraid to utilise rock guitar. “96º In The Shade” just exudes heat. It is simply one of the best hot day songs ever. An exhilarating backing, one used so much by UB40 on their “Signing Off” album three years later. Some Spanish guitar adds even more to the hot, summery feel. This is not an album to play in the winter. “Rhythm Of Life” has an almost rock-style drum intro and is a potent but incredibly catchy number, with a singalong chorus refrain. It also has a sort of jazzy drum solo piece in the middle. It is a positive, upbeat end to a highly pleasurable album. The band’s debut album was good, but this one is even better. As always, an excellent cover, too.